Judy Dyble is probably still best known as the first female vocalist of Fairport Convention. She sang on the band's first single and charming debut album and was forced to leave soon afterwards, in the spring of 1968. Along with her new boyfriend Ian McDonald she soon after teamed up with a pop trio called Giles, Giles & Fripp and participated on quite a few home recordings with them. They were finally released as the highly entertaining album The Brondesbury Tapes in 2001. One of the songs Judy sang, was called "I Talk To The Wind". A more professionally recorded version of the song surfaced on the debut album of the new aspiring quintet King Crimson the following year. By then Judy's relationship with Ian had ended and she had left the band before the name change. Instead she teamed up with Jackie McAulie, a former member of Them (Van Morrison's band in the early days, you know) in the folk-inspired duo Trader Horne, named after John Peel's nanny, no less! They released one highly recommended album, Morning Way, that sold next to nothing at the time. Disillusioned and lacking confidence, Judy left the music business for several years. She was persuaded, or forced, to join the Fairport gang onstage to sing a couple of songs on a very few occasions in the 1980s, 90s and 00s, participated on some recordings with artists of a younger generation and recorded three low profile solo albums Enchanted Garden (2004), Spindle and The Whorl (both from 2006). With Talking To Strangers (2009) she was really back in business and ready to meet up with a bigger audience. It was produced by Tim Bowness (of No-Man, Henry Fool etc. and also co-founder of the recommended online music store Burning Shed) and Alistair Murphy, and featured old friends from Fairport, King Crimson (yes, including Robert Fripp! ), Jacqui McShee (vocalist of Pentangle), Celia Humphris (vocalist of The Trees) and quite a few others as guests. The album was even launched in Scandinavia on a Norwegian label and she made a couple of promotional stints for national Norwegian tv. The highlight of Talking To Strangers was the almost 20 minutes epic called "Harpsong" in several parts. Judy has done it again with the almost 12 minutes long "The Sisterhood Of Ruralists", divided into several parts as well, with different melodies and instrumentation. I especially enjoy the dulcimer, the hurdy-gurdy-sounding keyboards and the elegant string arrangment of parts of this track. As with several other songs here, it seems to deal with the mysteries and mystique of nature, life, old and ancient days. It's great, but during parts of this and a couple of other songs, Judy's vocals seems a bit more restrained than usual. It sounds somewhat wearier in the high register than we're used to from her. The paintings of the front cover and inside the booklet by Catherine Hyde, Jackie Morris and others also deserve to be mentioned. They reflect the lyrics and music in an exemplary way. All in all, I guess I'd recommend Talking To Strangers as a starting point to Judy's musical world to people that are not familiar with her music. Flow And Change is not far behind, though, but lacks a bit of the variation and rougher edges compared to the former. For those who enjoy songs inspired by pop and British folk of the last five decades with a mature female voice at the centre and exquisite string and other acoustic dominated arrangements, there's no need to look any further though. A lyrical tapestry...heartfelt, evocative and emotionally stirring. Aside from music I have another guilty pleasure if not passion, food. In an ironic sense music is indeed food for the heart and mind of the listener. One thing I have learned is that one must always be willing to take what they know and what they like and then try and move past that. 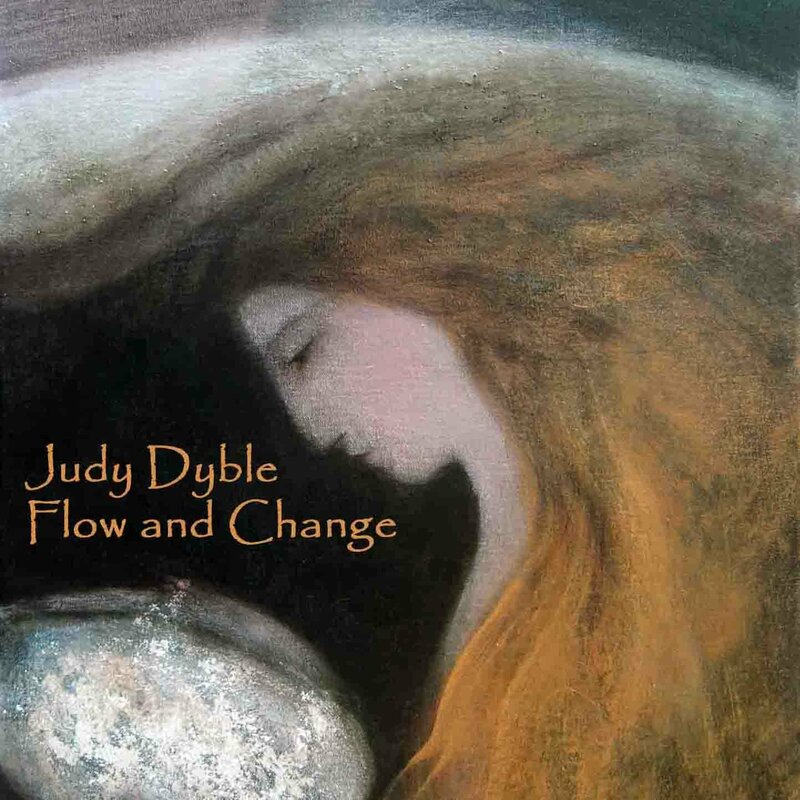 Judy Dyble's Flow and Change may well be the perfect soundtrack for this simplistic view on life and the various journeys one encounters along the way. If you don't experience more than one, you are doing something wrong. This legendary folk singer has released folk music for a new age, not new age folk music. Autobiographical emotional short stories that are part of a lifetime mosaic made up of life, love, and loneliness. Perhaps the most engaging aspect of this recording is the way in which a folk singer whose first recorded work was roughly forty years ago has been able to find a most compelling space in the technology driven industry that is music and with the use of a simple laptop is able to pull together such breathtaking sound scapes with musicians from around the globe that she has never actually met. Lyrical poetry is by its very nature improvisational at conception. Dyble's eclectic vision captured within the context of aging gracefully is as emotionally gripping as it is whimsical and evolving. Flow and Change magically takes on a life force of its own. An organic microcosm of space and time with promises both fulfilled and broken. 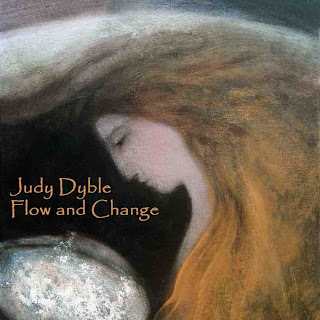 Judy Dyble's Flow and Change is far more than a traditional release. Flow and Change is an emotional journey to be savored. Tracks: Black Dog Dreams; Featherdancing; Beautiful Child; Crowbaby; Driftaway; Head Full of Stars; Silence; Letters; Wintersong; The Sisterhood of Ruralists. The promo you've send us of the new Judy Dyble album 'Flow and Change' has become CD of the Week on ProgLog AFTERglow. Beautiful album!!!! ... Judy Dyble, the first singer and co-founder of Fairport Convention. While predecessor Talking with Strangers even received a rave review here. "judy dyble is my mummy's friend. they talk too much together. she has a dog called betty and has a crystal tree. a real one. SHES DOES! it is in her garden. i also remember nyx. she lives in france." " crowbaby is my favourite. crowbaby is easy to sing to. it is about a baby and mother crow who live in the sky. the baby cries a lot"
"i bet she likes feathers like me. i have loads of crow ones. would she like one? i might give it to her. with freddo's too when we go there. ours are from wales. i bet she doesn't have a crow that speaks welsh"
"i like her voice. i like all the songs. she does (cropredy) the festival sometimes and we want to go. she was in a band but i can't remember the name"
"ohhhh yea. they live in the festival don't they"
"this stops when you don't want it too. like musical statues. when that happens i stay very still but usually fall over. but it's ok as i land on the rug"
Released, at last, in the format that it always demanded (and sounding as pristine as it ought to), Judy Dyble’s last studio album begins paving the way for her next with a reissue that reminds us again just how tremendous a treasure she is. A decade-plus on from her so-called “comeback,” although better to call it a whole new beginning, Flow and Change is Dyble’s second album with multi-instrumentalist Alistair Murphy (following on from Talking with Strangers – also reissued, by Tone Float), and it would be churlish to play favorites with them. But from the opening sparseness of “Black Dog,” all windswept heaths stalked by mythical beasts (and that’s just the music); through “Crowbaby,” “Silence” and “Wintersong,” Flow and Change builds not to a climax, a la its predecessor’s sidelong Harpsong, but to an outright statement of intent. “The Sisterhood of Ruralists” is epic again, albeit a mere twelve minutes this time, but like its own lyric explains, “weavings of the silver magic curl… through the forests wild.” Take from it what you will, but as Noddy discovered when he was out late one night, it isn’t very good in the dark dark wood, in the middle of the night when there isn’t any light. Unless, of course, it was you who blew the lights out in the first place. Exceptional instrumentation places Dyble’s equally exquisite vocal stage front; with barely a traditionally folky bone in her body, she nevertheless slips effortlessly into a milieu which the album’s art work, inside and out, likewise delineates – a sense of lost past, ancient Englishness, village fetes, plows and plowmen, and fortune tellers who nobody visited because they always seemed to know too much. That’s what Flow and Change sounds like. More than that, that’s what it feels like, too.